Reading and share top 1 Goro Miyazaki famous quotes and sayings. 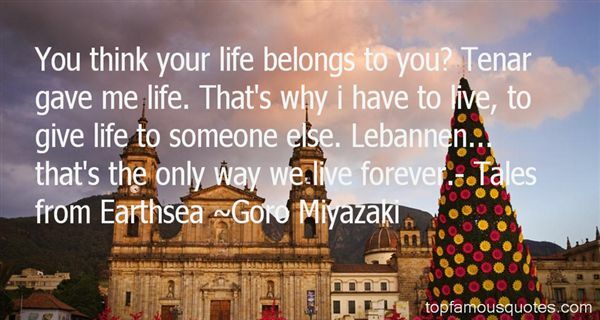 Browse top 1 most favorite famous quotes and sayings by Goro Miyazaki. I knew I'd never have another moment like this. Just a single place in time where everything had come together to breathe in harmony. Time slowed and I had gathered all her restless strands in my hands; where I had come from, where I was and where I was going was one long thread as I emerged to make my way into the world."